Wilcox Towing & Trucking, Inc., located in Salem, IN, is the place to call when you’re in a jam. 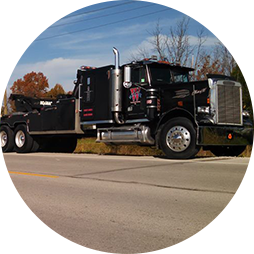 Established in 1969, we specialize in towing, recovery, trucking, and local impounding. We offer 24/7 local and long-distance towing and roadside service, so whenever you need help, you can count on us. Don’t cuss! Call us! We get it done so you don’t have to!